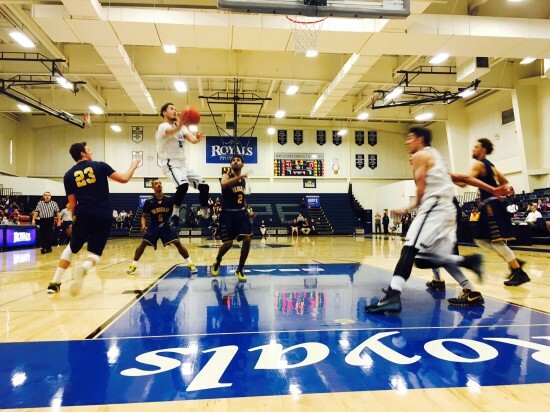 The seventh-ranked and second-seeded HIU Royals men’s basketball team punched their ticket to the GSAC Championship for the third straight season on Saturday with a dominant 73-53 win over the Vanguard Lions. 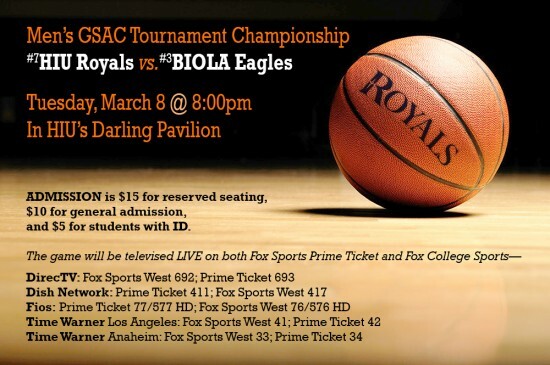 The men’s Championship will be played on Tuesday, March 8, at 8:00pm at HIU’s Darling Pavilion as the Royals face top-seeded Biola Eagles, and the game will be televised live by Fox Sports Prime Ticket and Fox College Sports. Admission is $10 for adults, $5 for students/seniors, and $15 for reserved seating. To find the Fox College Sports channel on your TV, click here. 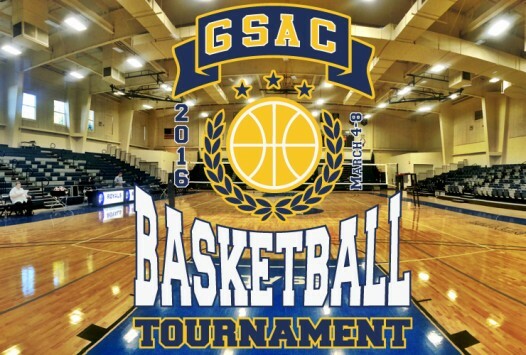 The GSAC tournament winners receive an automatic bid to their respective NAIA Div. I Basketball National Championship, March 16-22. 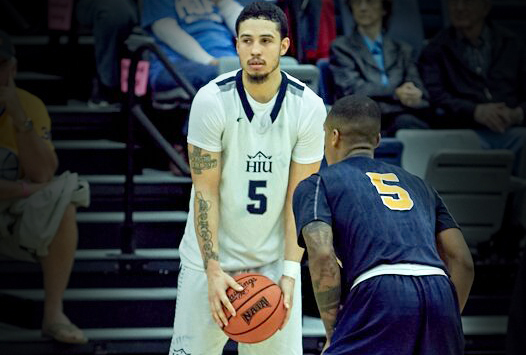 The men will play in historic Municipal Auditorium in Kansas City, Missouri, while the women will play in nearby Independence, Missouri at the Independence Event Center.